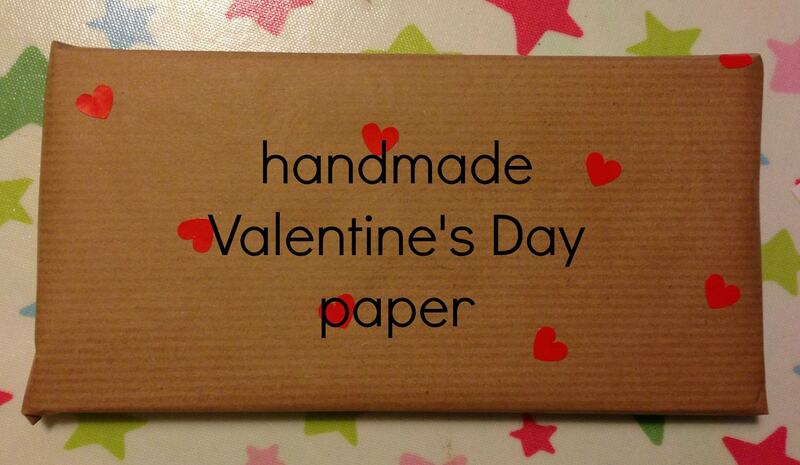 Along with our handmade Valentine’s Day cards I thought it would be fun to make our own wrapping paper too. I love using brown paper as it is so easy to personalise with washi tape, stickers or paint. I saw packs of heart stickers in my local Tiger store, which is where I buy most of my craft supplies. I knew these would be perfect to make our own paper to wrap our Valentine’s Day gift. The toddler adores stickers so enjoyed this little project. I cut the brown paper to fit the surprise we brought for daddy. 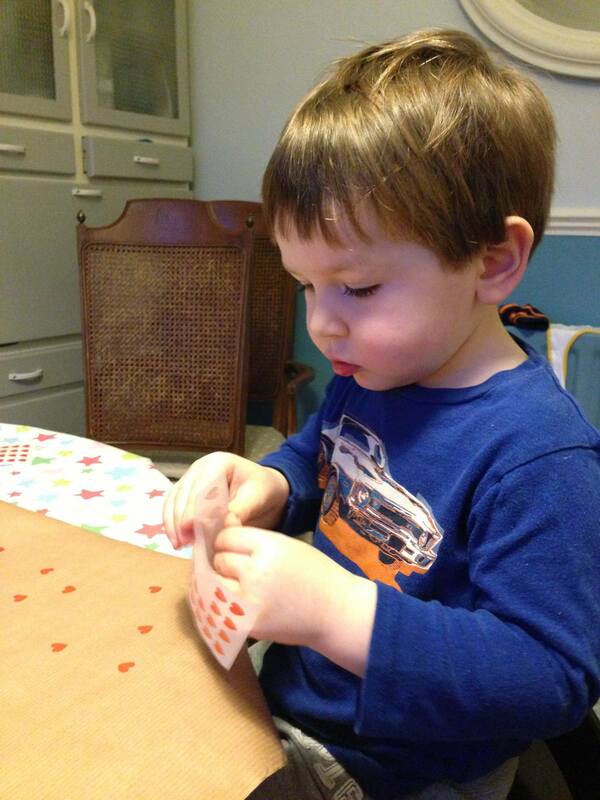 Then the toddler was let loose with the sheets of stickers and encouraged to stick them wherever he wanted. This kept him quiet! 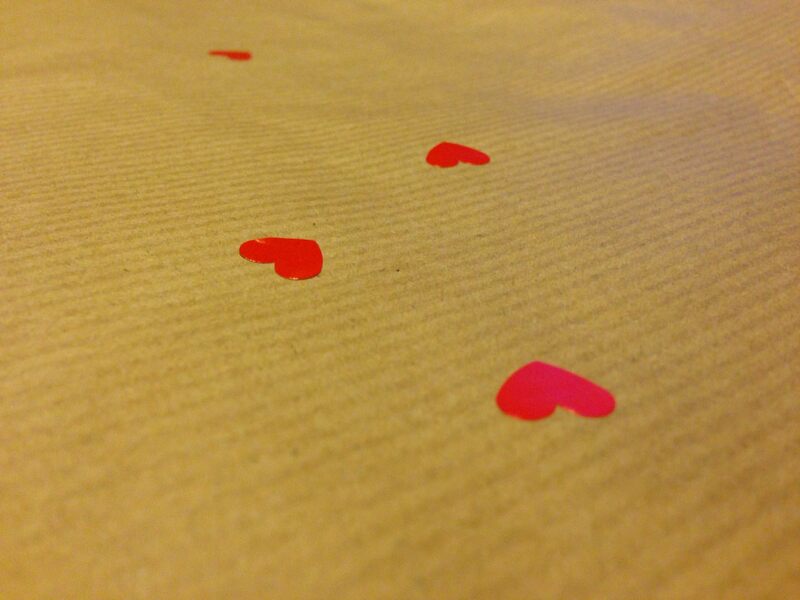 The hearts were quite small but look great on plain paper. When he had finished I wrapped the present – all ready to give to daddy on Valentine’s Day.